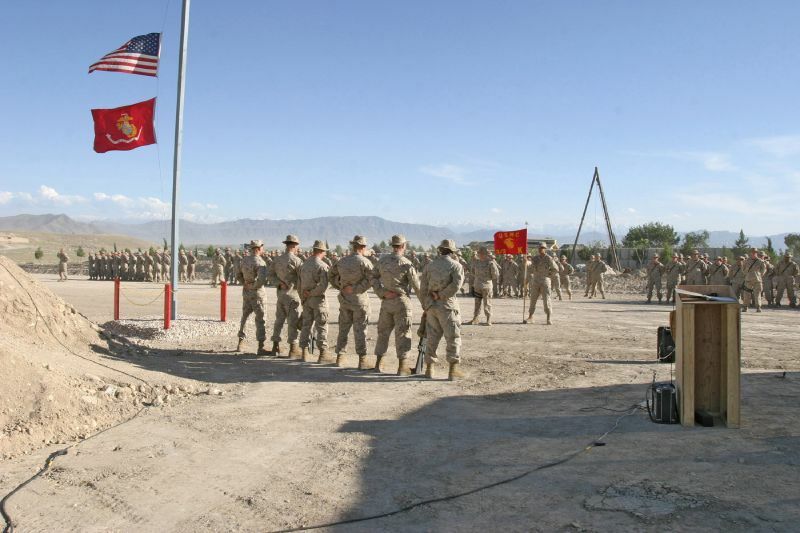 Marines and Sailors from Company K, 3rd Battalion, 3rd Marine Regiment gather May 13 at Forward Operating Base Mehtar Lam, Afghanistan, to honor Lance Cpl. Nick Kirven and Cpl. Ricky Schoener who were killed in action May 8 in the Laghman province of Afghanistan.